The proliferation of file sync and share (FSS) products and other cloud services designed for consumers, along with mobile devices, leads to improper sharing of corporate data. Information that leaves your firewalls can live forever, and without adequate protection, can end up in the wrong hands. So what’s the solution? 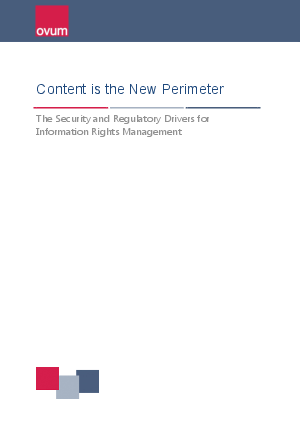 Protect your information with next-generation information rights management (IRM) technology. You can email, copy, upload or share any IRM-secured document — and the protection travels with it. Information technology professionals interested in using IRM for secure collaboration don’t want to miss this important report.